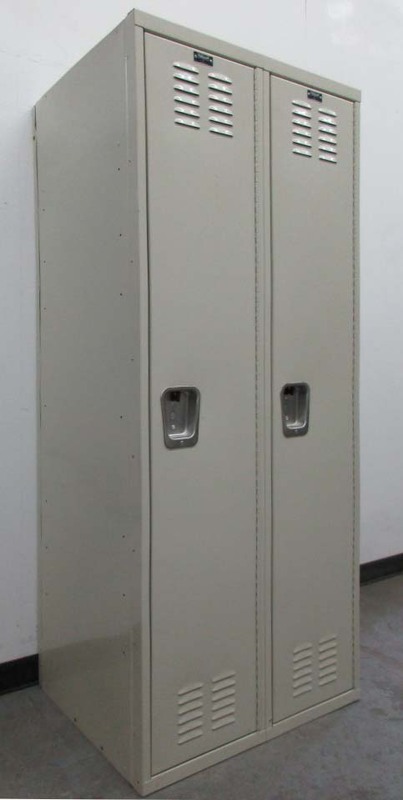 These Narrow Lockers are available on www.buyusedlockers.com where they have a huge selection to choose from if we need additional supplies. 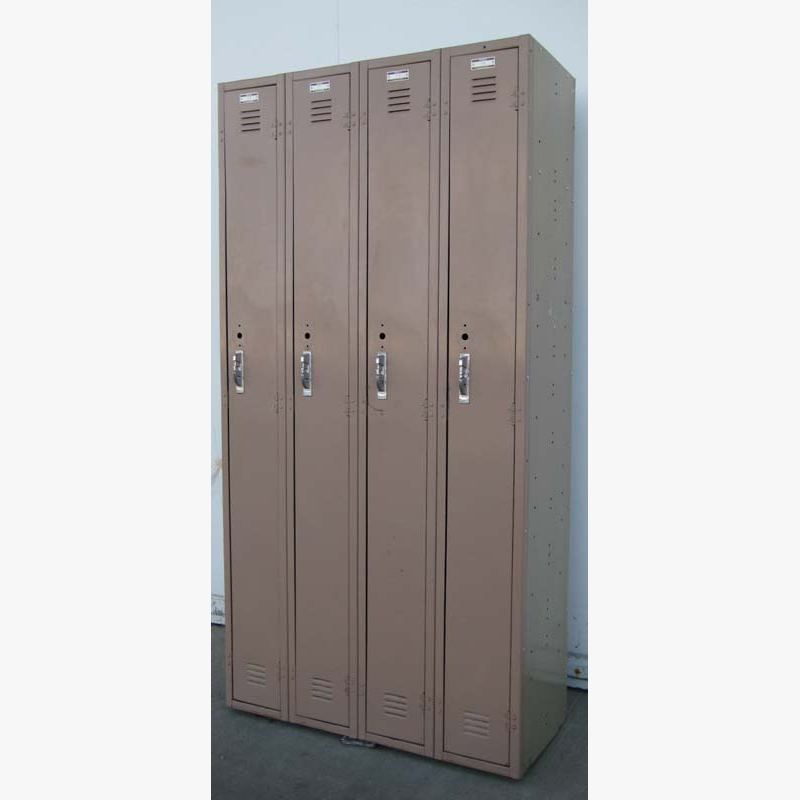 We have 4 single tier steel corridor lockers available that are each 9" wide x 15" deep x 72" tall. They have been completely refurbished and are in excellent working order and great condition! 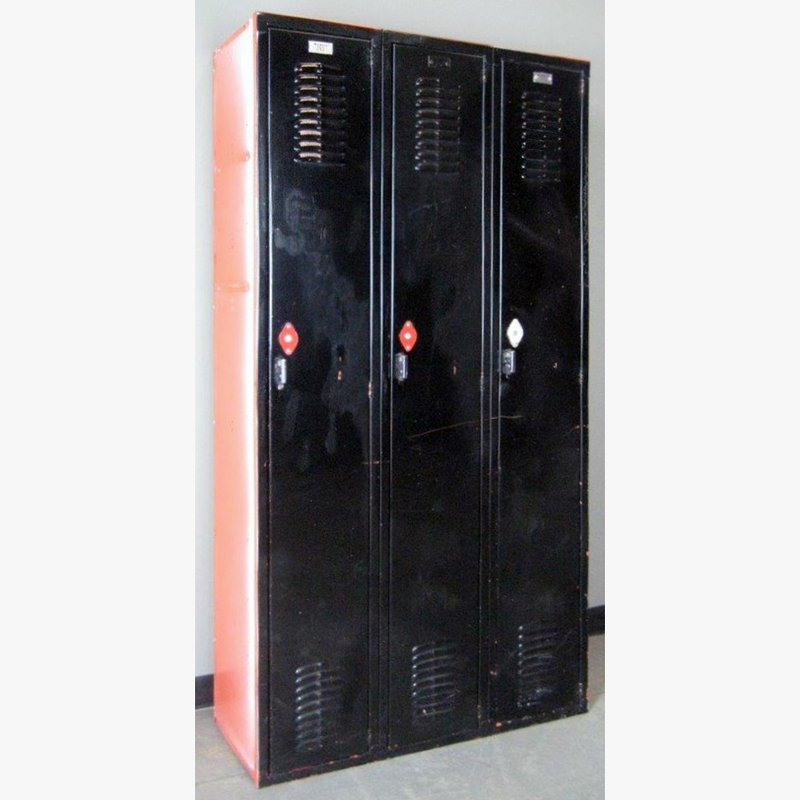 Each locker has plenty of storage options, including two sturdy upper shelves to store personal items and one double prong ceiling hook and two single prong wall hooks to hang bags, clothing, equipment and outerwear vertically. 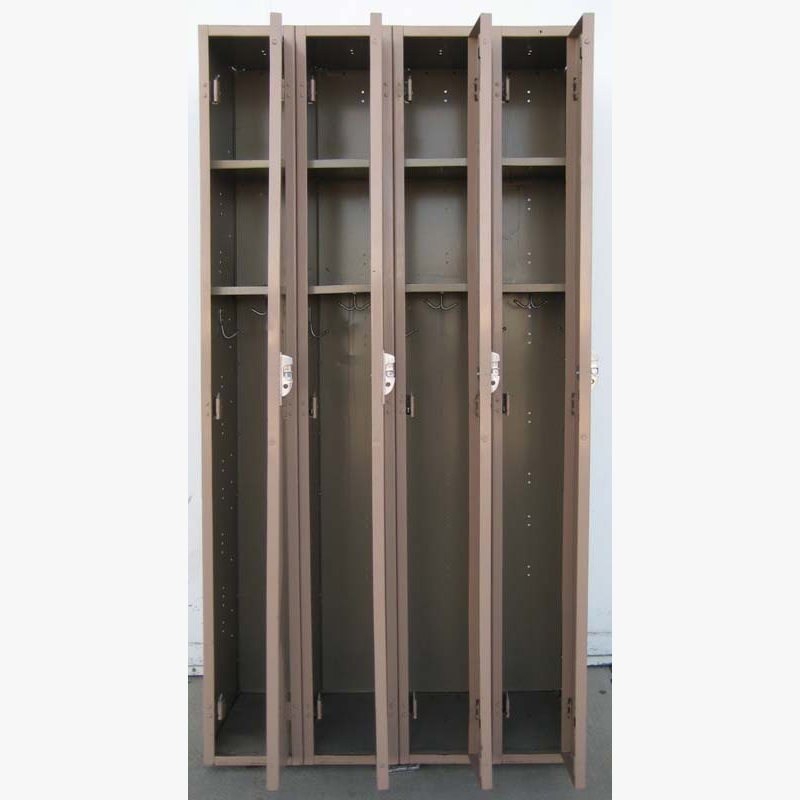 These lockers are a beautiful chocolate brown color and will look fantastic against any wall in a corridor, common hallway or workspace. 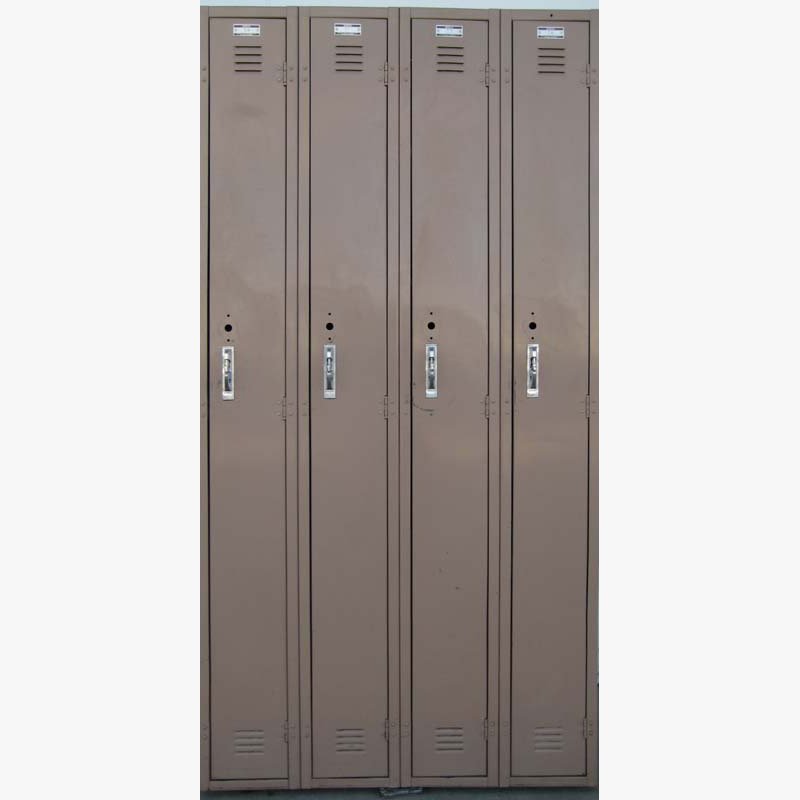 They are ready to be installed in your home, office or school today--purchase them now at substantial savings compared to what you would pay for new lockers!